Raxit Tewari, of the solo electronica project Your Chin, launched his third EP in Mumbai last week. And hea��ll be in the city on Sunday to perform his new set, titled Peeping Till Ita��s Noise. 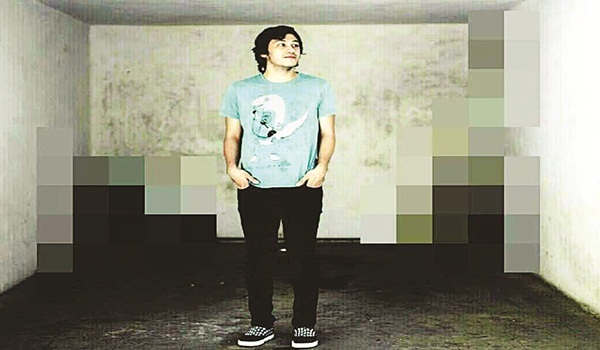 Comprising four tracks, namely Fighting The Sumo, Hawk, Shine, and Skit, the EP, says Tewari, started coming together in bits last year, over various listening and playing sessions. a�?Lyrically, I dona��t know if I consciously worked with a theme, but I felt like I was picking out some very personal, a�?two-people-sitting-in-a-cafea�� kind of conversations from the near future while writing this,a�? he adds. Fighting The Sumo has particularly garnered a lot of attention. Thata��s because Tewari released a rather quirky video on YouTube to go along with this single. Ita��s made on MS PowerPoint, and Apple Keynote. a�?My friend Misha Ghose made this video. Towards the middle of last year, she was exploring PowerPoint as a medium to create some basic animated loops, and I had finished writing Fighting the Sumo. The animated aesthetic of those experiments worked well with the track. So, we made up a little story about this robot whoa��s trying to explore a planet he finds himself in,a�? shares Tewari, also the frontman of Mumbai-based indie band Sky Rabbit. Videos for other tracks will go live soon. The 29-year-old had released his first eponymous single, Your Chin, in 2012, followed by Scatter Nature two years later. And hea��s noted a welcome change in his work. He tells us, a�?This EP probably sounds more immediate, and spontaneous than my earlier works. I guess the more time you spend with music, the more comfortable you get in translating whata��s in your head into the final song. With practice, it gets easier to put all of your thoughts down.a�?